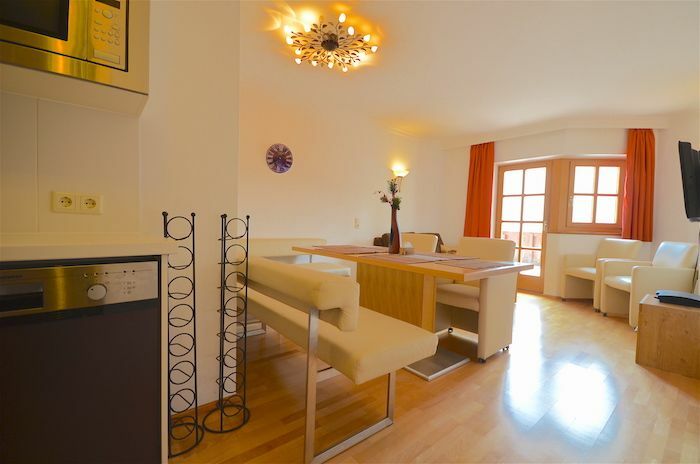 We really enjoyed staying in the Select 7 apartment - very spacious and central location within close proximity to many of the attractions in the Zell am See area. The only (constructive) criticism I could give is that with such a drop-dead view of the mountains from the large balcony, there wasn't a proper size dinner table and chairs outside. Otherwise, everything was fine. The swimming pool was a big bonus. thank you for your review. We are just a little bit suprised about your two stars, because at check out you told us every thing was fine during your stay. We will speak with the owner to improve the bed. We are looking forward to welcome you next year again. The property was much smaller than the photos indicated. Swimming pool closed for our whole visit, no one informed us in advance or offered an alternative. Work was being carried out above us due to a recent hailstorm with drilling starting early in the morning. On more than one occasion our access to the exit staircase was barely accessible because of this, we were having to climb over debris and under tape. Our neighbours kept us awake every night, although I appreciate this is out of your control. All in all very unhappy. We are really sorry that you could not spend your holiday as expected. As you said this natrual disaster is out of our controll and we know the works are unpleasant but necessary. We are sorry for your discomfort. After a couple of days the pool was open again and all works are nearly finished now. Sehr große und saubere Wohnung vorallem bei 8 vereinen sehr praktisch die drei Bäder! Würde mich ch sofort wieder buchen! Alles was schoon en netjes en aanwezig. Kortom een heel fijne week gehad! Zeker voor herhaling vatbaar. Piesendorf is a charming little Austrian village situated on the sunny side of the valley between two of Austria’s finest ski resort, Zell am See and Kaprun.